Distribution pipelines will not face track-and-trace requirements for newly installed or repaired plastic pipelines a relief for the American Gas Association (AGA), which strongly opposed that potential mandate when the Pipeline and Hazardous Materials Safety Administration (PHMSA) first proposed a series of new standards in 2015. PHMSA also backed away, either partly or fully, from some of the other changes to its pipeline safety regulations it proposed in 2015, either because of industry opposition or the advice of its Gas Pipeline Advisory Committee. 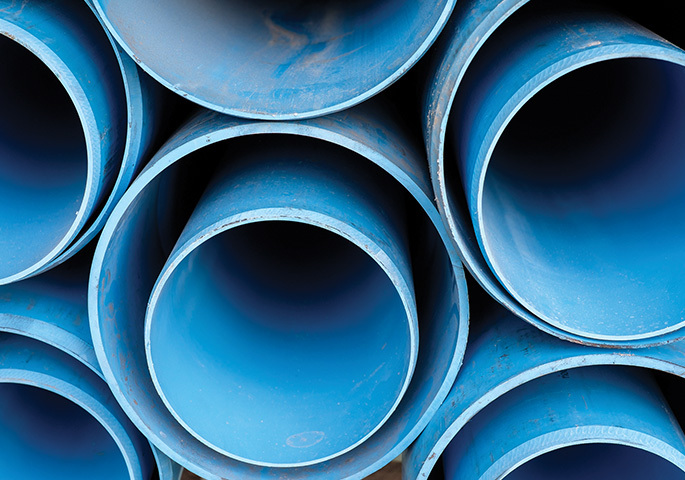 The changes to agency regulations in the plastic pipe rule published on Nov. 20, 2018, go into effect Jan. 22, 2019. These changes include increasing the design factor of polyethylene pipe, increasing the maximum pressure and diameter for Polyamide-11 pipe and components, allowing the use of Polyamide-12 pipe and components, new standards for risers, more stringent standards for plastic fittings and joints, stronger mechanical fitting requirements, and the qualification of procedures and personnel for joining plastic pipe. Christina Sames, vice president of operations and engineering at AGA, says her organization is supportive of the new rule, although some of the timelines for compliance are very short, which will present challenges. But distribution companies will not have to worry about new track-and-trace requirements, which PHMSA wanted to impose in two years. Bob Biggard, pipeline safety supervisor at the Pennsylvania Public Utility Commission and the National Association of Pipeline Safety Representatives (NAPSR) official who is the lead on Trenchless Plastic Pipeline Techology, did not respond to an e-mail asking for comment on the PHMSA final rule. One of the more controversial proposals from 2015 would have required distribution pipelines to ensure that the excavation path for installation and maintenance activities provides sufficient clearance from other underground utilities and structures. Additionally, PHMSA proposed that operators be required to use a “weak link” device for plastic pipe through the ground during installation to prevent unnecessary, excessive stresses on the pipeline. The mandate to use a weak link also drew some concern about its potential limitations, mostly that the word “device” could limit operators to commercially available discrete devices. Some operators commented that they use a piece of weaker pipe or an internal lab-designed device as a weak link. The commenters proposed that PHMSA clarify the language so as not to inadvertently prohibit alternative technologies. GPAC voted unanimously to support these comments. PHMSA revised the definition of “weak link” to include a device or method, which should provide operators more flexibility. The 2015 proposal around new “tracking and traceability” requirements didn’t go over well with either distribution pipelines or plastic pipe manufacturers. These requirements were also the result of an NAPSR suggestion stemming from a resolution adopted because of accident investigations in which insufficient data regarding pipe material had proven an obstacle to determining the cause of an incident. NAPSR pressed PHMSA to require the marking of all pipe and components to ensure identification for a period of 50 years or the life of the pipeline. The data required in the marking would be the six fields prescribed under ASTM F2897-11a, including: component manufacturer, manufacturer’s lot code, production date, material, type and size. Industry opposition resulted in GPAC recommending a phase-in of the marking provisions by establishing a compliance deadline of one year for ASTM F2897-11a markings and a deadline of five years for record keeping requirements, instead of PHMSA’s proposed “for the life of the pipeline.” GPAC further recommended that PHMSA limit the marking and traceability requirements to the categories in ASTM F2897-11a and revise the permanent marking standard on plastic pipe and components to being legible at the time of installation. In the end, PHMSA ignored the GPAC recommendations and eliminated any track-and-trace requirements. PHMSA expects to consider all the GPAC comments and the recommendations related to tracking and traceability recordkeeping after further evaluating the costs and benefits. These issues may be revisited in either a subsequent final action or a new rulemaking project. The final rule does grant the distribution industry a long-sought request by increasing to 0.40 the design factor for polyethylene (PE) pipe from the current standard of .32. The AGA had been pressing for this change for a decade, and had submitted petitions to the PHMSA, which had not been acted on by the Obama Administration. The Senate approved Bernard McNamee as the fifth Commissioner at the Federal Energy Regulatory Commission on Dec. 6, but he will take his seat with a big question mark over his head. Even Sen. Lisa Murkowski (R-Alaska), the chairperson of the Senate Energy and Natural Resources Committee, who voted for McNamee on Nov. 27, said, “Some of his comments were unfortunate.” She was alluding to a speech he gave in early 2018 in which he made a number of disparaging remarks about renewable fuels and lauded fossil fuels. FERC is an independent agency and is supposed to make decisions on renewables, natural gas and other inputs independently. Having been a top official at the DOE, he is considered close to Energy Secretary Rick Perry, who in the fall of 2017 asked FERC to adopt rules giving a ratemaking boost to electric utilities who used coal. Had FERC gone along with Perry’s request, the result might have disadvantaged natural gas pipelines. But FERC rejected that request in January 2018 while opening a new rulemaking into grid resilience. There have been no developments on that. Sen. Maria Cantwell (D-Wash.), the committee’s top Democrat, voted “no” on the McNamee nomination as did all Democrats except Sen. Joe Manchin (D-W.V.) who changed his vote on Dec. 6 when McNamee’s name came to the Senate Floor. Otherwise, the vote to confirm the former DOE staffer was 50-49 along party lines.